In February I will be presenting a creative writing workshop through our local public school’s continuing education program. I think this poster will be a great visual for the participants to keep in mind. We all get overwrought worrying about what we’re going to write. Staring at a blank page is a bit intimidating. I will help lift the pressure off the workshop attendees by telling them no one will be reading their writing. We will just practice writing with the freedom of knowing we don’t ever have to show it to anyone. 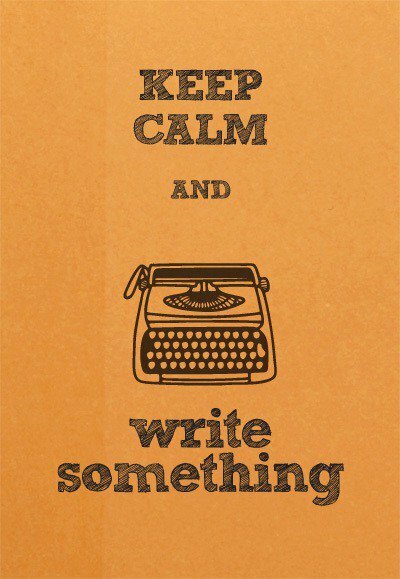 Just write. Remember the days when writing was so much fun? Creating dragons, flying through the puffy clouds, and making up all kinds of fantasy worlds on paper. Go back to the joy of spewing out all those marvelous ideas. Have fun with it and just write for yourself.